CIMtech Mfg. Digital manufacturing utilizes integrated, computer-based system to create products and manufacturing processes. Digital manufacturing evolved from design for manufacturability (DFM), computer-integrated manufacturing (CIM) applies lean manufacturing processes with paperless workflow with digital tools. Long-term cost reduction benefits of product development can be achieved with comprehensive digital manufacturing strategy. Our digital manufacturing processes streamline your manufacturing requirements from proof of concept to full production. This allows us to reduce manufacturing time & speeding up your time to market. Our Digital Manufacturing Applications for workflow utilizes ERP (ProShop Software) for paperless workflow from concept Prototyping to Full Production work. Our workflow enables manufacturing engineers, CNC machinist and tool makers to provide immediate feedback to designers if there are constraints in the part manufacturability. This collaboration between CIMtech Mfg. Machinist and mechanical design engineers creates a cooperative environment to reduce cost of manufacturing during early product development stages. Our capabilities with state-of-the-art CNC Machine Shop can use digital manufacturing processes create 3D simulation for reducing part design errors and access different production variants during request for quote (RFQ) process. This transparency with our customers including precision planning and proposal preparation can help our customers to improve their part designs before moving to production. Our digital CNC Machining processes involve user experience, allowing our customers to make faster decisions. With direct connectivity to our shop floor. Computer numerically controlled (CNC) machines can managed many different CNC Machined parts for effective manufacturing execution. 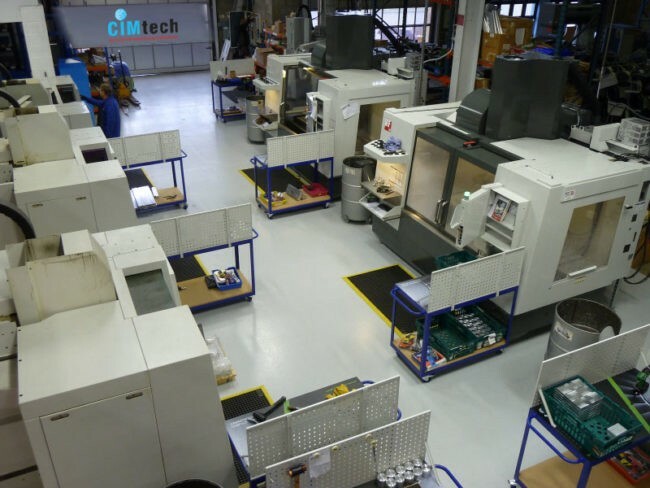 Digital manufacturing helps CIMtech Mfg. Machine Shop productivity in planning and production processes. Digital manufacturing processes supports lean initiatives. Digital manufacturing can be defined as an integrated approach to manufacturing that is centered around a computer system. A machine is able to read a CAD (computer aided design) file in order to deliver it in a few hours. Within the same process, it is possible to prototype, produce CNC Machined Parts. As consumers habits are evolving, it is necessary to find flexible production processes. Digital manufacturing helps us to meet our customer demands for quick turn around on high-quality CNC Machined Prototypes and Production Parts. Digital manufacturing enhances productivity. It allows real-time inventory monitoring us production to adapt our resources to benefit our customers for CNC Machine Shop work, CNC Machining, Quick Turn-Around Prototype Machining and Production Machining requirements.